I have previously posted about how I am becoming better acquainted with lentils. Since they pack such a nutritional punch, I decided to try adding them to a tomato soup recipe. My hope was that the resulting soup would pass muster not only in my household, but also with some of my friend’s children. My first attempt at this soup was served “rustic style”. I cooked the lentils with the vegetables and served it up with all of them intact. My daughter complained that when I told her I was making a tomato soup, she pictured something without chunks. I realized that she probably had a point. My solution was to stick my immersion blender into the pot of soup and blend it, but I had used brown lentils. I won’t put a picture of the soup here, but it didn’t look very appetizing. In fact, it looked like something that had already traveled through the digestive tract. Since we eat first with our eyes, I couldn’t promote this ugly soup. Undeterred, I returned to the drawing board. The second time, however, I used red lentils. This worked out very well. First, the red lentils cook more quickly than brown lentils, and they practically fall apart when fully cooked. This makes them great for thickening soups and stews. The resulting soup was pretty and delicious. Sue Chef gave it her seal of approval. The next test was when I served some up to a friend’s son and grandson. Both of them devoured the soup. I considered that a success. To make this soup come together quickly, chop your vegetables while the lentils are cooking. When you do this, the vegetables are ready to go into the pot as soon as you remove the lentils. 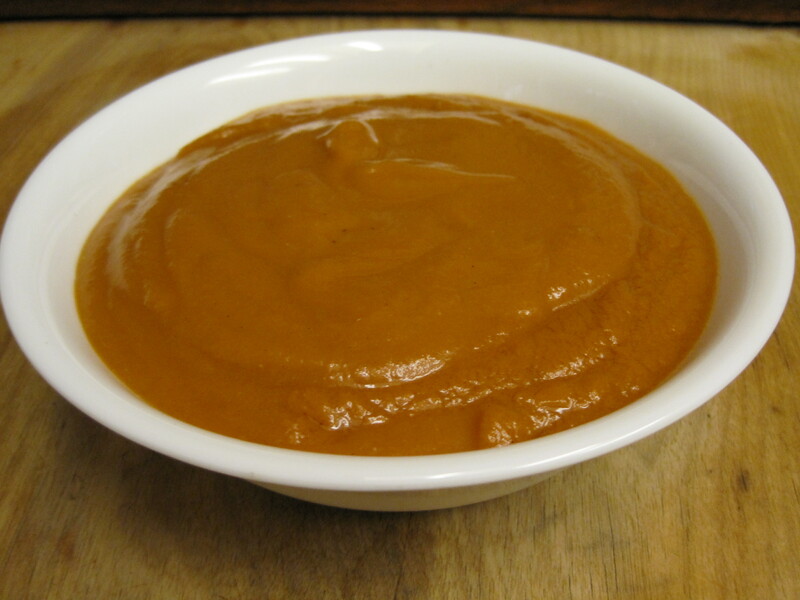 Once the soup has finished cooking, puree it with an immersion blender or puree it in batches in your blender. Be very careful when pureeing hot soup in a blender. Use a towel over the closed lid to prevent spillage. You can be easily burned by escaping soup. Once the soup is pureed, ladle it into serving bowls. 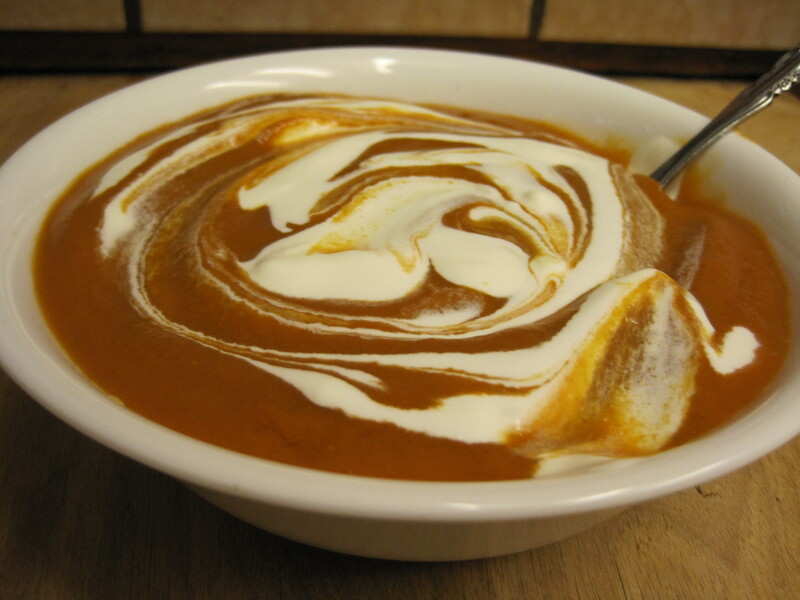 Top the soup with either a dollop of creme fraiche, or swirl some around on the top of the soup. I tried to make it pretty, but I wasn’t very successful. If you can’t find creme fraiche in your local store. Try our recipe to make your own. It’s very easy. There’s even a recipe for a cashew creme fraiche for those who prefer to eat a vegan diet. 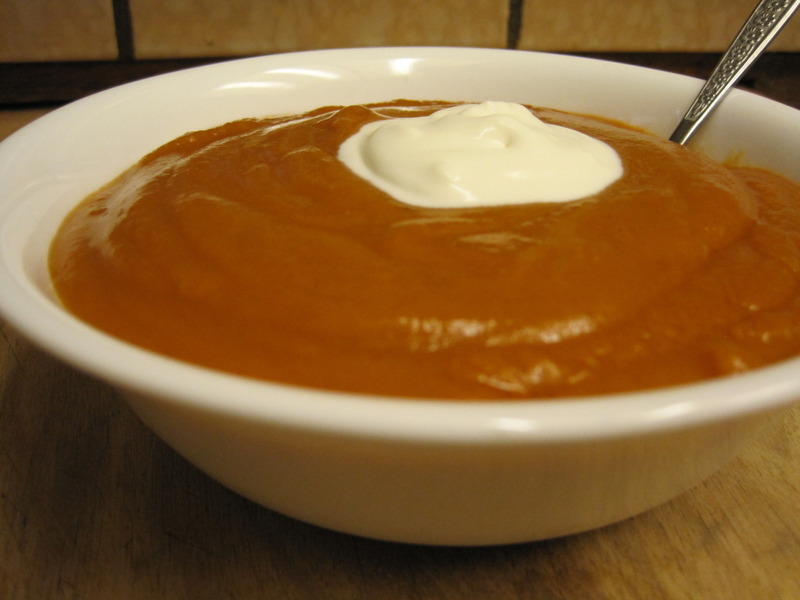 The soup, without the creme fraiche, freezes well. Give this recipe for tomato soup with lentils a try and let me know what you think by leaving a comment below. 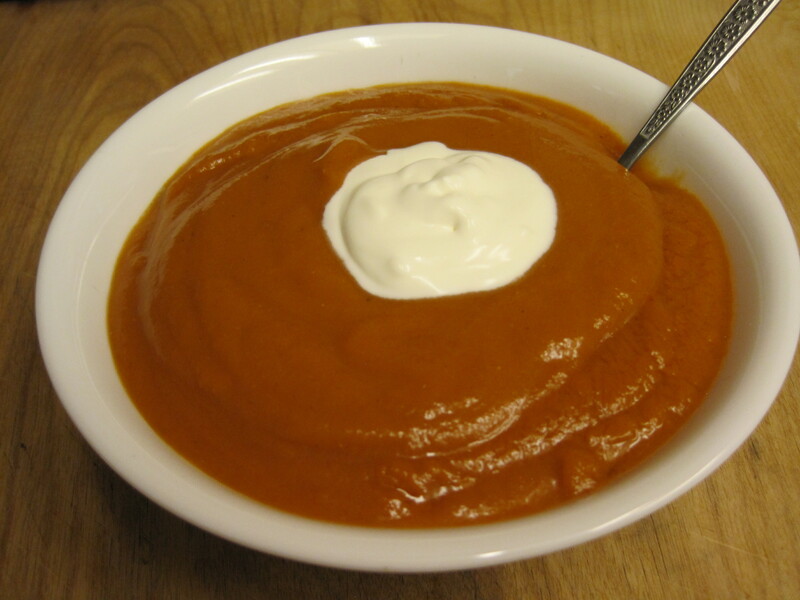 Lentils added to a simple tomato soup add protein without significantly affecting the taste. This recipe passed the kid friendly test with flying colors. Total Cost of Recipe is $5.90 or about 74 cents per serving. Sort lentils and cover with water. Bring to a boil and cook for 15 minutes then drain and set aside. Heat olive oil in the bottom of a 3 quart sauce pan. Add tomatoes, lentils, broth, and bay leaf. Simmer for 20 - 25 minutes until everything is soft. Puree with an immersion blender of in small portions in a blender. Serve topped with a tablespoon of creme fraiche. This looks good – and pretty, too! I want to try this one. I was actually a bit nervous about this soup when I first started making it, but I was pleasantly surprised that it tasted good, even though the first batch looked hideous. The best part was when the kids ate it and even asked for seconds. I was ecstatic.